Rage faces have been around a long time starting with 4chan, then reddit, then, copycat outlets like funnystuff. 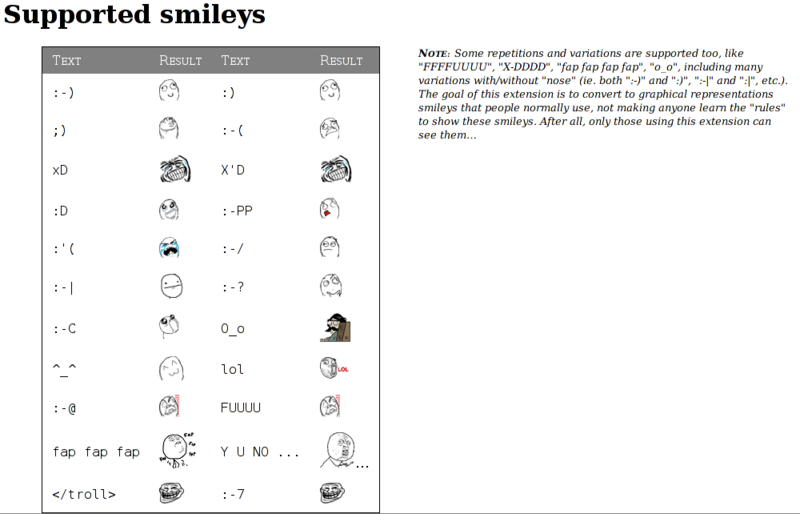 Yesterday Ars Technica put out a post explaining what Rage Face Comics are. Its an good enough post, missing some information and fluffing up other bits, but fair enough, you get the point. However, it got me to thinking. How long till we see this in CNN or ‘shutter’ the Today Show? Ars Technica is HARDLY jumping the shark. Its a good rag with some cutting edge information on it, but I don’t know. I just got that feeling after reading the post that something happened; where a fun meme is stating to be taken too seriously and soon; worse; will have a plethora of ‘experts’ doing the daytime TV circuit helping to explain what these ‘really’ mean little jonny or susy Q decides to use it in facebook. Sigh.. I guess I’m reacting not at much to what Ars wrote, as to the possibility that some ‘guru’ out there is going to take it even further. Ug. Still, I do like the little guide they posted. Check it out. BTW, if you want to know more about rage face comics, check out knowyourmeme. Cereal Guy: A versatile character, Cereal Guy generally express surly skepticism (if he’s just eating), but he’s been known to spit his cereal everywhere if he is shocked or surprised. Forever Alone: Forever Alone is a sad, lonely individual with no friends and few options in life. He can be found in any situation where someone is feeling morose or, as the name implies, alone. Herp Derp: A character no one in the Rage Kingdom enjoys, Herp Derp can sometimes be simply obtuse and dumb, but more commonly he’s self-centered, uninformed, and completely sure of himself. LOL Guy: An easy guy to understand, LOL Guy howls with laughter at the funny situations he finds in rage comics. Me Gusta: His name means “I like” in Spanish, which is exactly what he expresses. Me Gusta can be used to express enjoyment in anything from the perverse (such as odd sexual activities) to the mundane (such as petting a cat). Okay Guy: If you’ve ever felt powerless to change something, you understand Okay Guy. He doesn’t stand up for himself in any situation; he simply sighs and put up with what life throws at him. Poker Face: Poker Face tries to hide his embarrassment in any awkward or uncomfortable situation, trying to pretend nothing is out of the ordinary as he waits for the situation to resolve itself. Rage Guy: One of the most basic characters, Rage Guy expresses pure, blind rage, typically directed at life’s small, everyday annoyances (like Troll Face’s antics). Rage Guy has also spawned several spinoff characters, such as Derp. Troll Face: One of the oldest and most widely-used faces, Troll Face is a prankster who makes others’ lives more difficult for his own amusement. His wide, toothy grin perpetually snickers at his victims.